Bangalore is one of the most active cities I have ever seen, and both of us like Bangalore a lot. 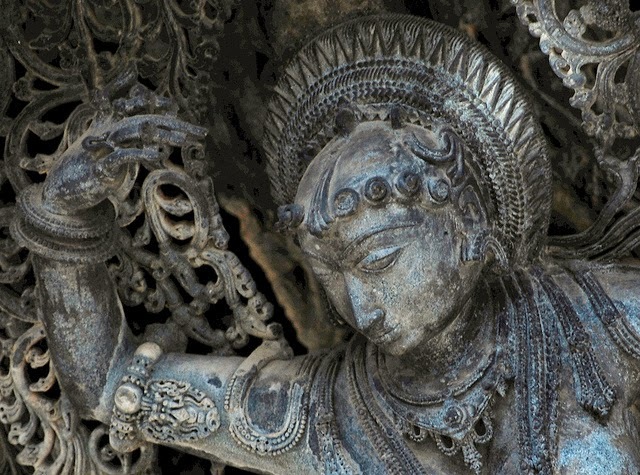 one of the reasons we like it is because there is just so much to do in and around Bangalore. Just Like I said with Hyderabad it would have been so easy to just do a quick list but this has to be easy and no brainer, like Chennai and Mysore, because I know of friends who have not yet visited these two even though they have been living in Bangalore for ages.The list below has everything from forest to Beaches. A great destination, Hampi is 370 kms fromBangalore and is reachable by daily buses and trains. Recommended for long weekends, you’ll love the slow pace of the historic boulder city. Best time to visit is winters. Don’t forget to pack huge loads of sunscreen and umbrella if you plan to go in summers and you may miss the coracle ride during rains. With heritage temples, village life and awesome restaurants Hampi would be your best pick. You can easily find accommodation in the range of 400-500 a night and food can be as cheap as you want. There are no designated camping grounds but we have heard a few camping stories as well. 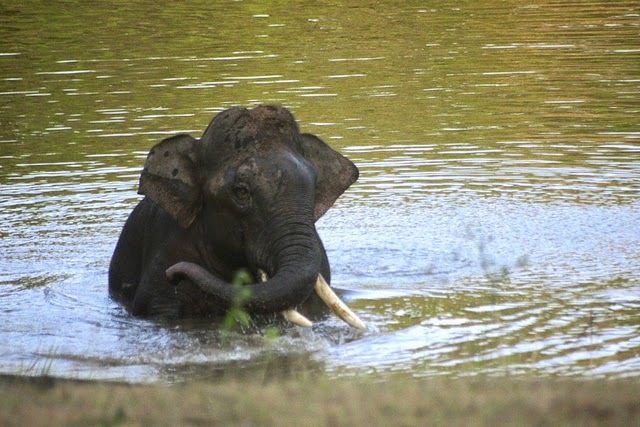 Some 220 km from the city are the forests of Nagarhole with its varied wildlife and lush green forests. Like most of the tropical forests you should be planning a visit during the cooler months from October to March. With easy bird sightings and nature walks the National Park is a dream destination for any nature enthusiasts. To add to this there are quite a few resorts which have come up and promise to provide you with responsible tourism options. Though these can be very expensive during the peak season you can definitely look around and get some cheaper options. The best part is that there is no fee for the national park, at least that is what Wiki Travel says. This is almost a default choice for anyone who lives near enough, with the sea, French buildings and delicious food it is a must visit. If you have not been to Pondicherry yet, even after living in Bangalore pack your bags right away. we have been to the Union territory multiple times now and I would go back in a heart beat, if only for the quirky shops and good food for all tastes. If you are a meat eater you would be a happy person sitting down at one of the many French places or sampling some parotha at any one of the shops. Head over here to get more info about Pondicherry. It might not be the default choice in terms of weekend destinations but Chennai is a great city to spend a eating weekend in. Everyone agrees that the best sambhar is to be had in the city and I second them. Not only that the city has good beaches and heritage monuments which will not just keep you busy but also satisfied. 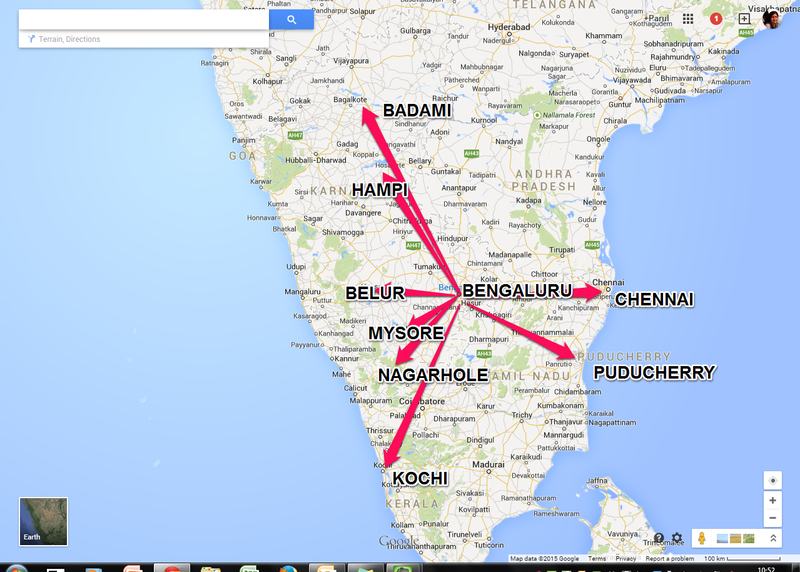 To add to that the city is barely 350 Km from Bangalore and definitely deserving of a road trip. 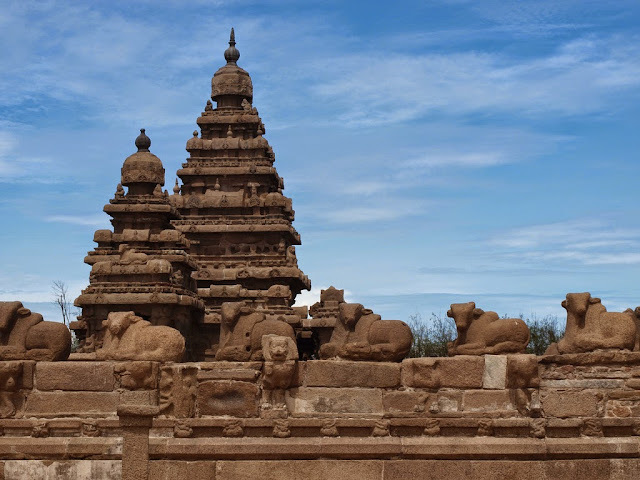 If you opt for the road trip take your time at places like Vellore and Kanchipuram. This small town in Hassan district is even served by the KTDC tours from Bangalore, so all you have to do is hop on a bus. The town on the banks of Yagchi river is a treasure trove for any history enthusiasts and the forests nearby are equally inviting. 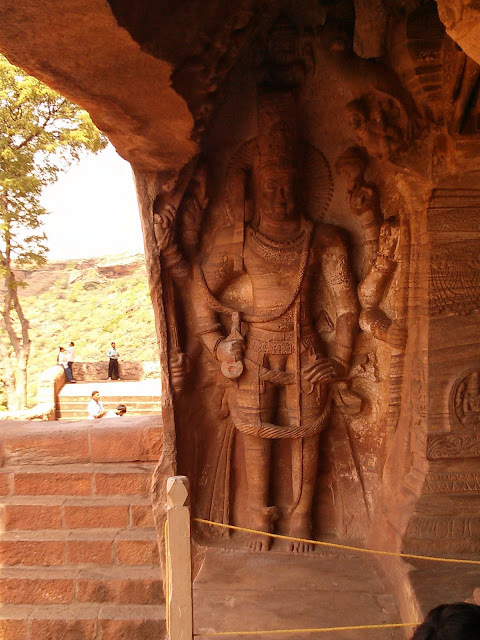 The city is just 3 hours drive from bangalore but that doesnot man you make it a day trip. Take at least three days and include Chikmanglur and Shravanabelagola, both of them quite different but defintley worth a visit; Chikmanglur with it's coffee plantations and Shravanabelagola with the world's largest monolithic statue of Jain deity. Thanks to the cheap flights going to Kochi from Bangalore is very easy and once you are that near to backwaters a weekend cna only get better. Though Kochi is a good place to visit at any time still you would do good to avoid the Monsoons, instead in the cooler months of the year the city can be one of the best destinations to visit. The main city of Kochi is not where you want o spend your time. take a bus from the airport and get to fort Kochi and spend the day and evening there to soak in it's Portuguese Heritage. It is pretty small and we cold walk around on foot easily. 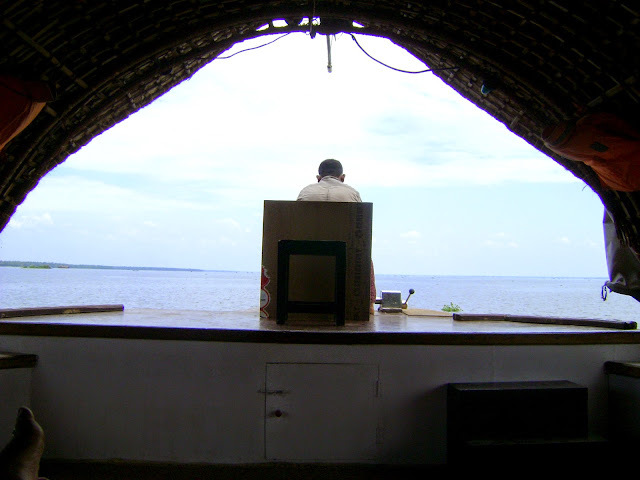 If you are interested in spendign a night in a houseboat (as you should be) head to Alleppy. Local buses are good and punctual and you should have no problem reaching any where. Really you have not been to Mysore and you are in Bangalore! 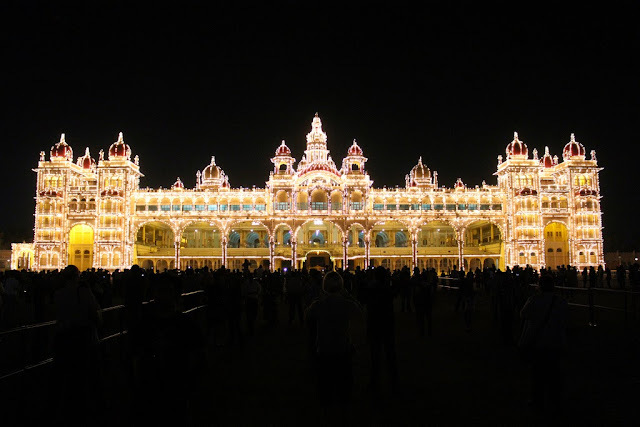 Well never mind this year go and see the lighting on Tipu Sultan's palace and be amazed. the wealth held inside the palace is amazing but photography is strictly prohibited. Apart form the palace do go and visit the Rail museum, or if you are feeling adventurous or religious climb up the Chamundi hill. 1000 or so steps will take you to a temple and get you some of the most beautiful vies of the surroundings. Just 150 Km from Bangalore Mysore cna be an easy day trip for those weekends when you still want to sleep in your bed. Superb! South India is one of favourite regions of the country. I have travelled extensively across the region. Have done Chennai, Mysore, Pondicherry. 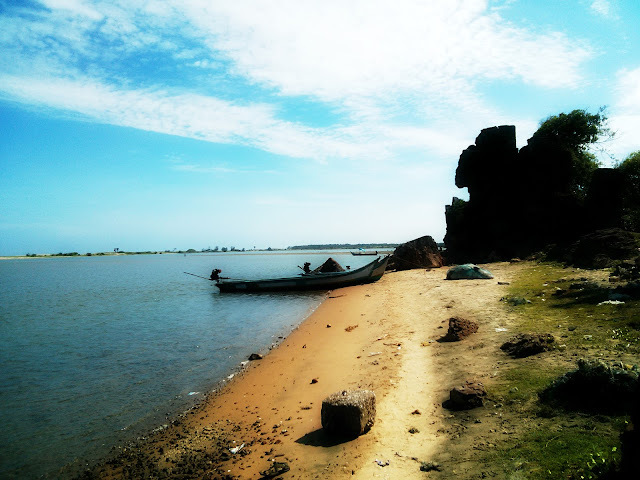 Was mesmerised by the beauty of Pondy. All the places you listed are spectacular. Also, your post was a nice reminder for me to plan a trip to Hampi. I have been longing to visit that place for a quite sometime now. Beautiful photography, guys! We haven't been to India yet but we're saving it for one special trip when it's not combined with any other country as we believe it deserves a trip on its own.